Nikon announced the development of the AF-S 500mm f/5.6 PF back in mid June 2018 with the first copies of the lens shipping to NPS members in late September. This new 500 is the second lens in the PF line up, the first being the AF-S 300mm f/4 PF. 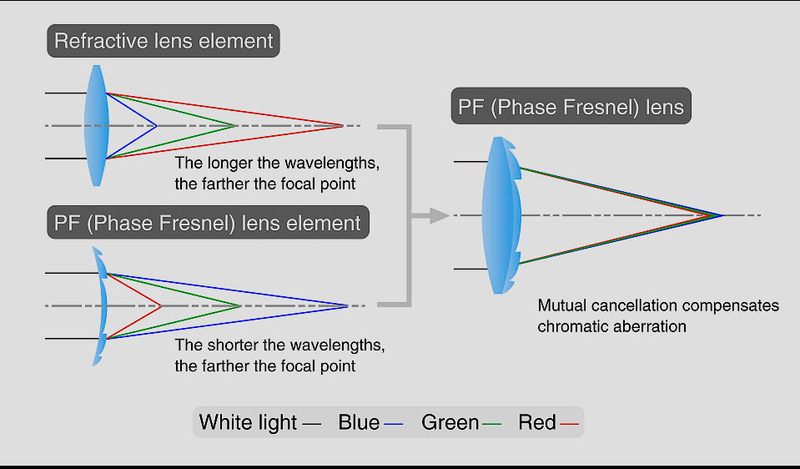 PF stands for Phase Fresnel, due to its resemblance to the original Fresnel lens of the 18th century. Very much like the Canon’s DO element, Nikon relies on microscopic gratings fabricated in the PF element. The gratings diffract the incoming light rays, producing a reverse chromatic aberration profile as shown in the cartoon below. The diffractive element can then be bonded to a standard refractive element in order to cancel its chromatic aberration. The end result is that several standard elements can be replaced with a single PF element resulting in a much shorter, smaller and lighter lens. 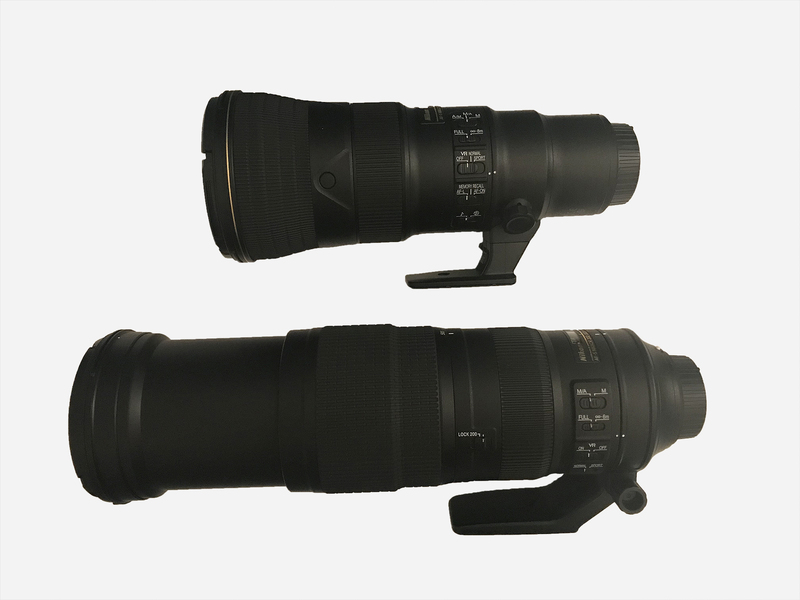 Both Canon’s EF 400mm f/4 DO IS II and the Nikon AF-S 500mm f/5.6 PF VR feature a single element with diffractive optics. Nikon do not specifically state if they have been able to eliminate the tiny air gap between the refractive and the diffractive lenses of the PF element in their bonding process. The air gap can cause aberrations and its removal was the major breakthrough that turned the original lackluster Canon EF 400mm f/4 DO IS into the spectacular EF 400mm f/4 DO IS II. The concept behind PF technology, from Nikon. At first glance the AF-S 500mm f/5.6 PF is… small, jaw-dropping small, it’s almost unbelievable. While the Canon EF 400mm f/4 DO IS was also a relatively light and short lens this lens is significantly smaller and lighter than that. Granted the 400 DO II is an f/4 lens, albeit only at 400mm. Compared to Nikon’s own AF-S 200-500mm f/5.6 VR, the PF is about 2 lbs (840 g) lighter, it is narrower and significantly shorter than the zoom when it is extended to 500mm. The PF is shorter than the zoom, even when fully retracted to its 200mm position. The AF-S 600mm f/4 E FL looks like a towering giant next to the 500mm PF, to the point that is difficult to show them in one photo. Basically there is nothing else on the market that comes close to the dimensions and the weight of the 500 PF at the time of writing this review. In the comparison below, I put the 500 PF next to the popular AF-S 16-35mm f/4 VR wide-angle zoom and my favorite portrait lens, the AF-S 105mm f/1.4 E.
AF-S 500mm f/5.6 PF VR (center) next to AF-S 105mm f/1.4 E (left) and AF-S 16-35mm f/4 VR (right). The 500mm PF is about twice as long as a standard wide angle lens. At its widest section it is about the same diameter as the 105mm f/1.4 portrait lens. AF-S 500mm f/5.6 PF (top) vs. AF-S 200-500mm f/5.6 VR extended to 500mm (bottom). The zoom is not only longer and wider than the prime, it is also 2 lbs heavier. The build quality of the Nikon 500mm PF is great. The body is made of magnesium alloy and is weather sealed. Unlike other super-telephoto lenses that take a soft cap, the PF comes with a standard clip-on front cap and also takes standard front screw-in filters (I never use filters on my super-telephoto lenses). This lens also includes a new foot that is easily removable: just loosen the lock screw, press the release tab and pull out the foot. The lens can still be mounted on a tripod, with the foot detached thanks to the tripod mount hole drilled in the base. I use the foot on my super-telephoto lenses primarily as a handle, for carrying in the field and hand holding. Unfortunately the 500PF’s foot is too short for a conformable grip, so I usually carry the lens by just grabbing it in the middle, a bit awkward. With the simple slide-in design, I can see the third-party feet to hit the market soon and will hopefully address this issue. The lens is made in China but that has not had any visible effect on the craftsmanship or quality as far as I can tell. Time will tell about its durability in the elements, with Nikon’s 5-year warranty there is no reason to worry. I am not a fan of the plastic lens hood supplied with the lens, at this price point the lens should have shipped with a carbon fiber or magnesium hood. Nikon also provide a soft carry/storage case with the lens, better than those terrible pouches most of their lenses come in but still pretty much useless other than for storing the lens while not in use. Lens’s control panel includes switches for focus limiter, VR, and memory function. There are three AF modes, A/M , M/A and M. The last one is manual focus, the first two are auto focus. Nikon state M/A is more sensitive to the focus ring rotation, any slight rotation can change the focus. When set to A/M, a greater rotation is needed to change the focus, perhaps to prevent focus shift as a result of accidentally touching the focus ring. I never use manual focus so I will leave this on A/M. The focus limiter has only two positions, full or far focus. I have found that unlike other super-telephoto lenses, with the 500 PF it is possible to easily toggle the focus limiter switch on the fly, with your eye on the finder and while hand holding. This is a very useful feature since you can continue tracking a bird all the way to MFD (minimum focus distance) if it suddenly comes close. This can even be done with gloves. A small light lens is great for tracking small fast birds at close range (think songbirds in flight), it’s a shame there is no close focus limit (e.g. MFD-8m) like Canon super-telephoto lenses, this would give fast AF drive at close range. If you use the lens hand hold set the VR to sport, it will prevent the finder image to “jump” when panning. Nikon tell us the VR mechanism can detect panning and also if the lens is on a tripod, regardless of the position of the VR switch. 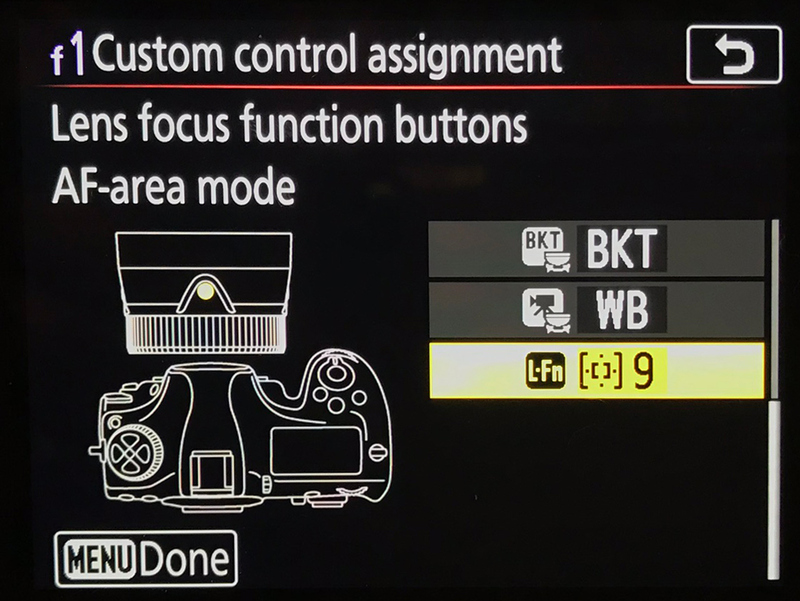 The Focus function selector assigns function to the four buttons around the barrel, set this switch to AF-L and use the camera’s menu to assign the desired function (D850 menu shown below). I like to program these buttons to change the focus pattern from Group AF (Grp) to 9-point expansion (d-9) or single point, when pressed. This is useful for shooting perched birds where you want more control over the exact location of the focus point. The last switch silences the “beep” the lens makes when you press the “Memory Set” button on the other side (this is to save the focus distance, pretty much useless for me). Go to Camera Controls menu (f)–> f*1 Custom control assignment –>Lens focus function buttons in order to assign a function to the 4 buttons on the lens. When Canon introduced the 2nd generation of their 400mm DO-the first one being quite underwhelming to justify its price tag-it became clear that the DO lenses could achieve as great sharpness as the traditional lenses. The EF 400mm /4 DO II proved to be a stellar lens in that regard with almost text book perfect optics, bare or with the TC, as I explained in my review. Good news is that the Nikon 500mm f/5.6 is very similar in that regard when compared to the AF-S 200-500mm f/5.6 VR as well as the mighty AF-S 600mm f/4 E FL. Below you can see 100% crops from RAW (click on each image to expand) comparing the AF-S 500mm f/5.6 PF with the AF-S 200-500mm f/5.6 VR mounted on the high resolution Nikon D850. Both lenses were set on tripod, live view focus with delayed release was used to give the sharpest image possible. the 5-dollar bill was about 8 yards from the camera. 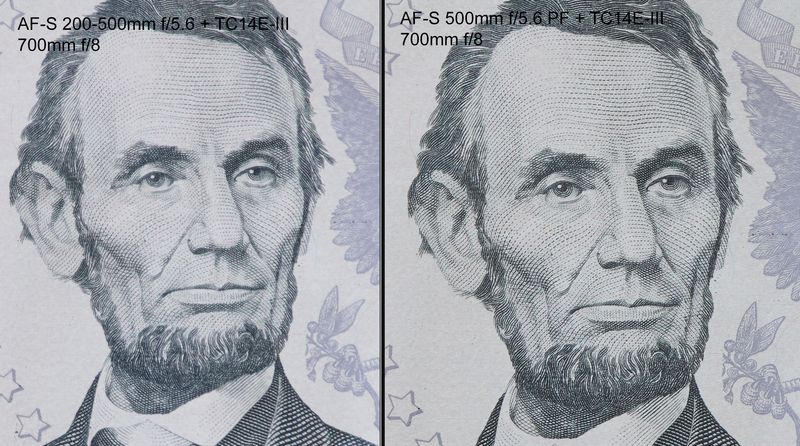 Note that prior to this test, no less than 3 copies of the Nikon 200-500mm f/5.6 VR were compared against each other to pick the sharpest sample of the zoom. (more on that in the up-coming review of the AF-S 200-500mm f/5.6 VR). RAW images where converted with Capture One Pro 11 using the optimal settings explained in my Nikon C1P guide. 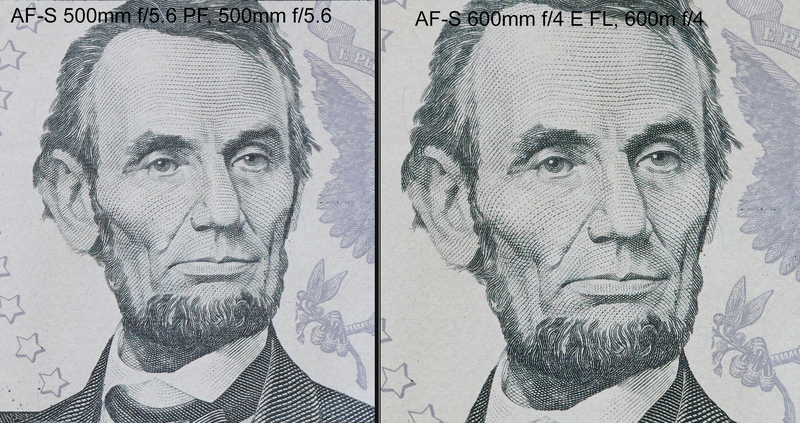 As you can see below the bare PF is sharper and has more micro-contrast than the bare zoom. These crops only show the center of the frame once you move to the edges the difference becomes much more striking. Please also note all images are (c) copyright Arash Hazeghi Ph.D. no reproduction is allowed. Left: AF-S 200-500mm f/5.6 VR at 500mm f/5.6. Right: AF-S 500mm f/5.6 PF at f/5.6. 100% crop from RAW with Nikon D850,. RAW converted with Capture One Pro 11. Note that the 500mm PF has a higher magnification the the zoom, this is due to “focus-breathing” effect in the zoom, i.e. the focal length is not quite 500mm at shorter focus distances. Click on the image to RAW. The gap between the zoom and the prime widens significantly after adding the TC14E-III as expected. The zoom lens is soft and lacks micro-contrast while there is virtually no degradation visible in the image recorded by the prime. In actual field usage I found that using the zoom with a TC was a waste of time, I could not find a single frame among several thousands that was sharp enough to my standards. Most of my keepers with the PF on the hand, were with the TC. 100% crop from RAW with left: AF-S 200-500mm f/5.6 VR + TC14E-III and right: AF-S 500mm f/5.6 VT + TC14E-III. Nikon D850 with Capture One Pro 11. click on the image to expand. I also compared the 500mm PF against my AF-S 600mm f/4 E FL which serves as the current bench mark of long lenses for the Nikon brand. The sharpness/contrast between both bare primes is virtually identical. Since both images were shot from the same distance, the crops below also demonstrate the difference in reach between the two lenses, i.e. 500mm vs. 600mm. 100% crop from RAW. 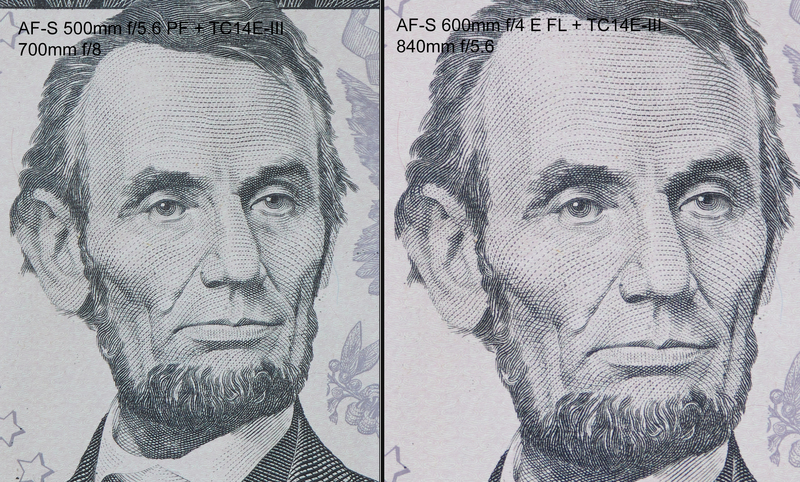 Left: AF-S 500mm f/5.6 PF, right: AF-S 600mm f/4 E FL. Nikon D850, RAW converted with Capture One Pro 11. Click on the image to expand. Last but not least I put 500 PF against the 600 with my teleconverter attached. Again the results are indistinguishable for this test in terms of sharpness. 100% crop from RAW, left: AF-S 500mm f/5.6 PF + TC14E-III, 700mm f/8 right: AF-S 600mm f/4E FL + TC14E-III, 840mm f/5.6. Nikon D850, RAW converted with Capture One Pro 11. Click on the image to expand. While the $3600 AF-S 500mm f/5.6 PF is closer in price to the AF-S 200-500mm f/5.6 VR ($1400) than to the $12,300 AF-S 600mm f/4E FL, its optical performance, under controlled conditions, resembles the latter rather than the earlier. This is a pleasant surprise, as I was expecting this lens to sit somewhere in the middle between the zoom and the 600 prime, especially with the TC. I was proven wrong. While many lenses perform just fine under controlled conditions, the real test is in the field when subject is often farther away and other factors are less than ideal. In the limited time I have spent with my 500 PF, I have mostly used it for photographing shorebirds and raptors. Both of these shoots were done where I had shot extensively before, for many years with Canon equipment and now with Nikon gear, so I have a good basis for comparison. The 500 PF performed very well shooting over the water with and without the TC where the bare 200-500 zoom was disappointing before (stay tuned for my review of the 200-500). Shooting raptors is one example where using TC14E-III is almost mandatory as these birds are very skittish. The images with the 500 PF and the TC14E-III are sharp, and virtually indistinguishable compared my 600mm f/4 FL+ TC rig when shooting with the 20 mega-pixel D5. With the 45-Mega pixel D850, sometimes there is a slight difference when shooting birds with soft low-contrast feathers such as the California white-tailed kite. The 600mm f/4 FL + TC has a touch more punch and micro-contrast to it, however these minute differences can be easily equalized when processing RAW’s using Capture One Pro 11 with the workflow that I have developed for Nikon users (see my Capture One Pro Guide). Overall the 500 PF + TC combo delivers sharp and clean images in any condition and I have no reservation in using it. Obviously the f/8 maximum aperture is limiting for low light conditions. In the supplied “guide sheet” that looks like piece of a newspaper (wish Nikon has supplied a nice booklet instead), Nikon warn us about “color ring flare” that may be visible in some images as a result of the PF element. To this date I have not seen such artifact in any of my images, granted I have not taken any images with the sun in the frame. I believe it is very unlikely to be able to reproduce such artifact in normal field use. The lens handled sidelight with no issues (see the harrier image in the sample gallery). A super sharp lens that cannot focus fast and accurately is useless for such subject as birds in flight. AF is a function of both the camera body and the lens. Nikon’s excellent AF system does a great job of holding focus on erratic BIF against complex backgrounds, and as such I was able to capture some challenging BIF frames even with the AF-S 200-500mm f/5.6 VR zoom, which is perhaps the slowest focusing long lens I have ever used. 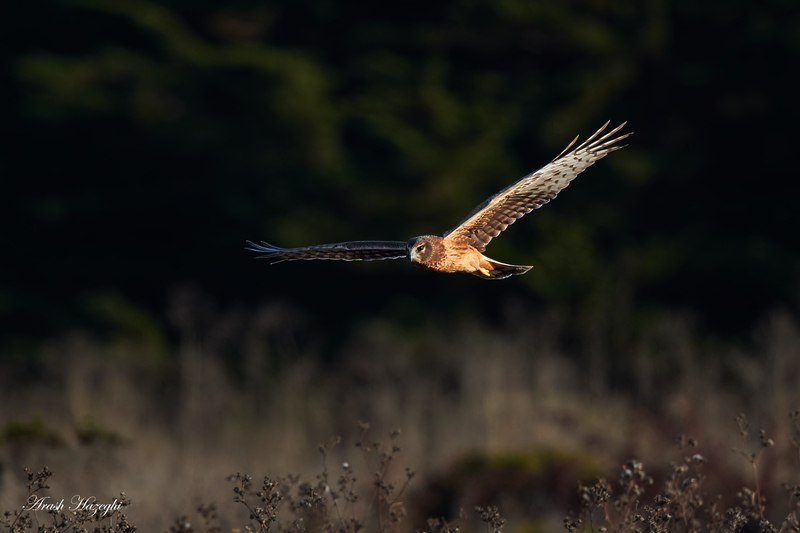 With proper pre-focus technique , the zoom can latch to birds flying parallel to the back of the camera. But, it will have a near zero chance of picking up BIF mid-field without pre-focus or track an incoming bird. This is true with both the mighty D5 and the gripped D850. The bare 500mm f/5.6 PF feels a lot more snappy than the zoom and again much closer to the AF-S 600mm f/4 E FL when mounted on either the D5 or the gripped D850. With the 1.4X TC attached, the AF speed does not slow down in a noticeable way with the D5, unless the scene is very dark. However, out of the 153 AF sensors, only 19 remain active (9 of which are selectable by the user and 5 are cross-type) at f/8. The AF pattern (for both D5 and D850) with a maximum aperture of f/8 is shown in the figure below. The very dense 153-point AF grid (compared to only 61 points in Canon pro cameras), is part of what enables Nikon’s “magic” AF performance when shooting BIF. A dense array guarantees that at least a couple of sensors will land on spots with sufficient contrast on the subject. This stable signal enables the D5/D850 cameras to continuously track the subject as well as they do, even when the subject is off centered, small in the frame, or moving erratically from frame to frame. Some of the prowess diminishes at f/8 when the AF has only 19 points to collect data from. 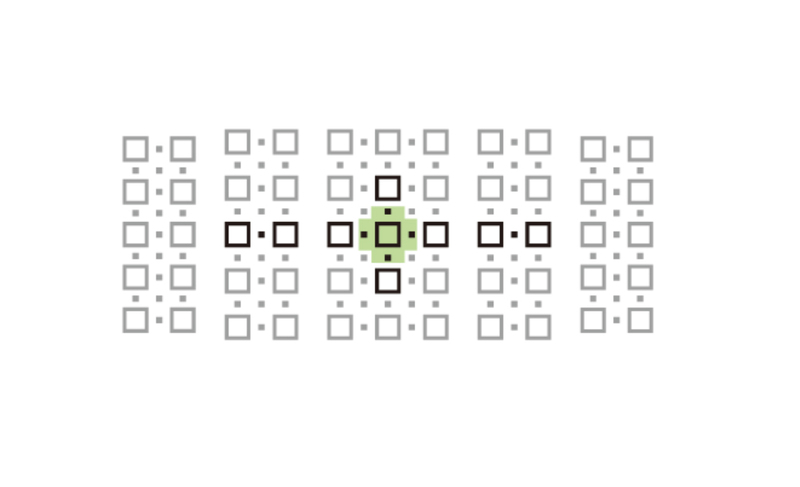 The active AF sensors at f/8 (shown below, from Nikon) are clustered at the center and horizontally to some extent. The cross-type sensors are dead centered. This means there is a higher burden on the user to keep the subject centered at all times for best AF tracking. With lens/TC combinations with f/5.6 or faster maximum aperture, the AF coverage is much wider and the camera can track the subject even when significantly off-centered. In practice with Nikon D5, as long as the point above is noted, i.e. bird is kept centered the tracking remains accurate and solid with the combination of 500mm f/5.6 PF and the TC14E-III. the good news is that since the lens is tiny and feather-weight, keeping the bird centered is a piece of cake for an experienced photographer. Even fast birds are easy to keep dead centered while tracking. So overall the AF is great. I plan to shoot some songbirds in flight at close range with this combination. With my gripped D850 the picture was a bit different. I noticed the AF was both a bit slower and also a bit less consistent once I added the 1.4X TC to the 500mm PF compared to the D5. It is still an effective combination, and performs more consistently than the combination of EOS-1D X MKII, the EF 400mm f/4 DO IS II and the EF extender 2X III which was somewhat a similar “f/8” rig I used for about 5 years, when I was shooting with Canon. The D850 should probably be compared to the EOS-5D Mark IV, a camera that was almost useless with f/8 combos for the type of BIF shots I like to take despite using its full array of AF sensors at f/8… no contest there. On paper D850 and D5 have similar specifications when it comes to the AF system, the gripped D850 uses the same battery as the D5 as well, however in practice and when shooting BIF, the D5 AF is superior and this is one of the instances where you can certianly notice the difference. Although again, this difference is not quite as significant as the gap between the Canon 1D and 5D series, it is there. Given the modest focal length, I imagine most users will be using the 500mm f/5.6 PF with the 45-mega pixel D850 rather than the 20 mega-pixel D5, and with the 1.4X TC. It is great to see this combination can still deliver sharp BIF shots from challenging subjects. As mentioned above, the key is to keep the BIF centered. Below are some sample images taken with the AF-S 500mm f/5.6 PF, most of them with the TC14E-III. You will need to expand each image to view it sharp. Expand each image by clicking on it, you will need a high resolution screen as I save my images at 1920 x 1080 (full HD). I will add to this gallery as I use the lens more. RAW files were processed with Capture One Pro 11 with optimal settings. Please see my Capture One Pro guide for the details of my processing workflow. 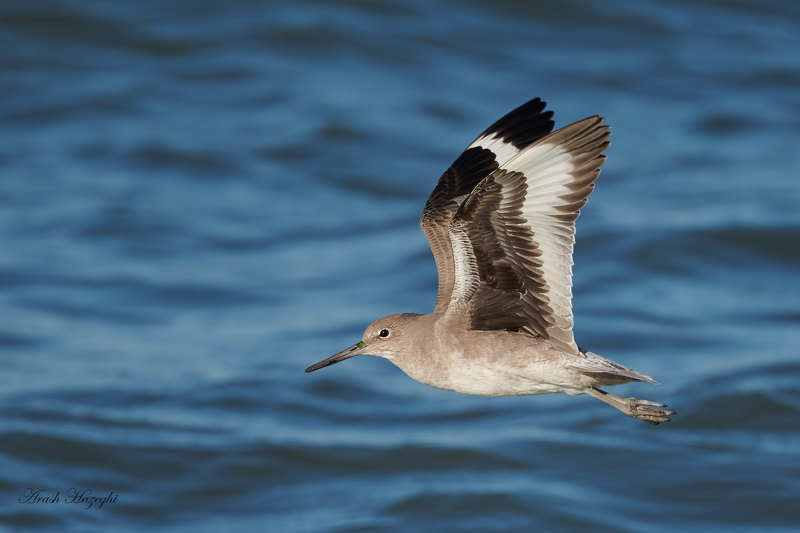 Willet in flight, Nikon D850 and AF-S 500mm f/5.6 PF + TC14E-III, ISO 800, f/8 at 1/3200sec. Hand held, processed with Capture One Pro 11. Click to expand. 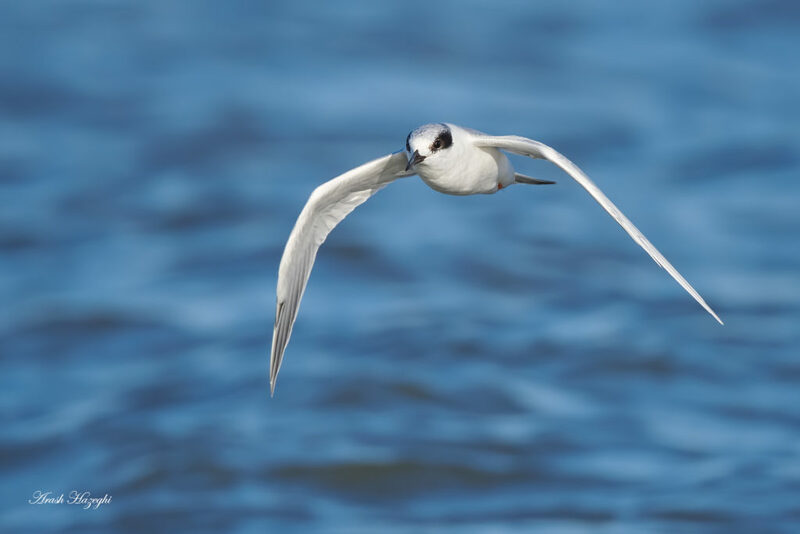 Juvenile forster’s tern. Nikon D850 and AF-S 500mm f/5.6 PF + TC14E-III. ISO 1000 f/8 at 1/3200sec. Hand held. Processed with Capture One Pro 11. Click to expand. 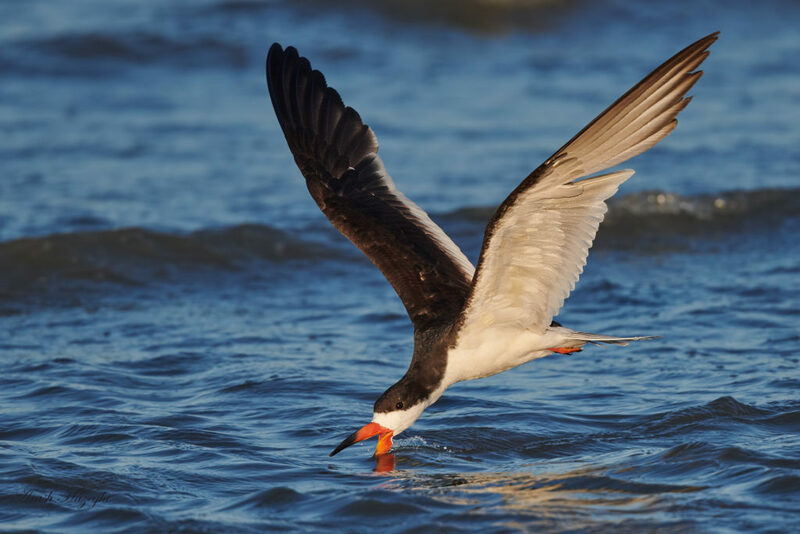 Black skimmer, Nikon D850 and AF-S 500mm f/5.6 PF + TC14E-III. ISO 1000 f/8 at 1/3200sec. Hand held. Processed with Capture One Pro 11. Click to expand. Rudy trunstone, Nikon D850 and AF-S 500mm f/5.6 PF + TC14E-III. ISO 1000 f/8 at 1/3200sec. Hand held. Processed with Capture One Pro 11. Click to expand. Heavy crop to demonstrate AF locking on a very small subject. 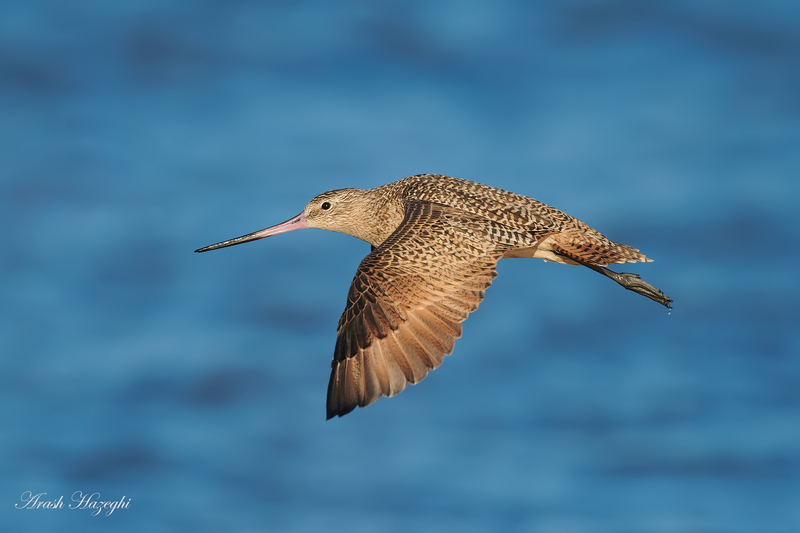 Marbled Godwit. Nikon D850, AF-S 500mm f/5.6 PF + TC14E-III. ISO 1000, f.8 at 1/3200 sec, hand held. Processed with Capture One Pro 1.. CLick on the image to expand. 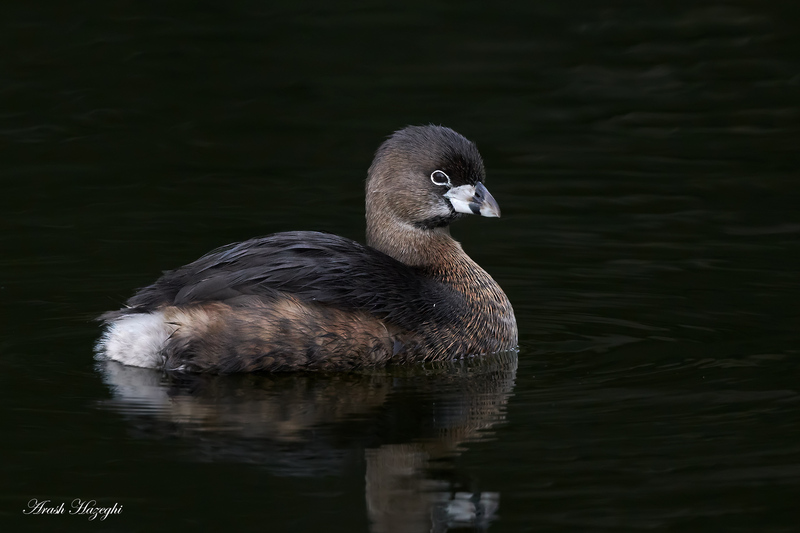 Juvenile grebe. AF-S 500mm f/5.6 PF + TC14E-III. ISO 1600 f/8 at 1/1250sec hand held with Nikon D850. processed with Capture One Pro. Click on the image to expand. 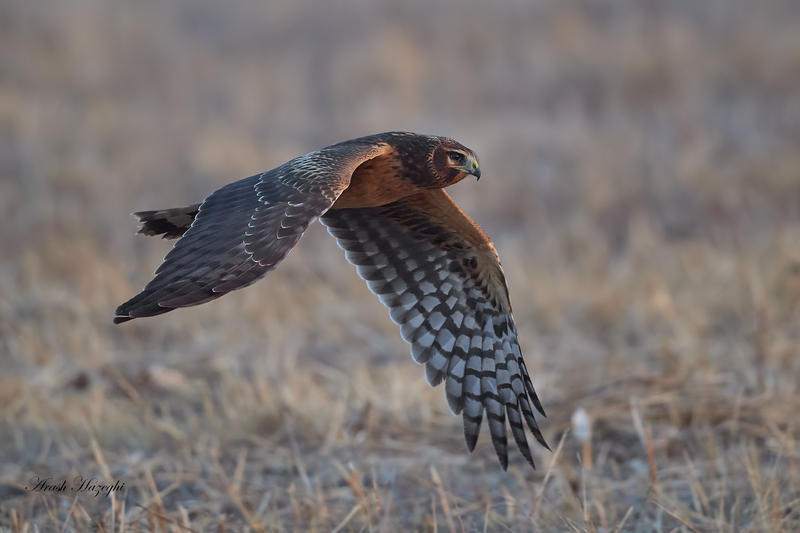 Juvenile female northern harrier. Nikon D850 and AF-S 500mm f/5.6 PF + TC14E-III. ISO 800 f/8 at 1/3200 sec. Hand held. Processed with Capture One Pro 11. Click to expand. 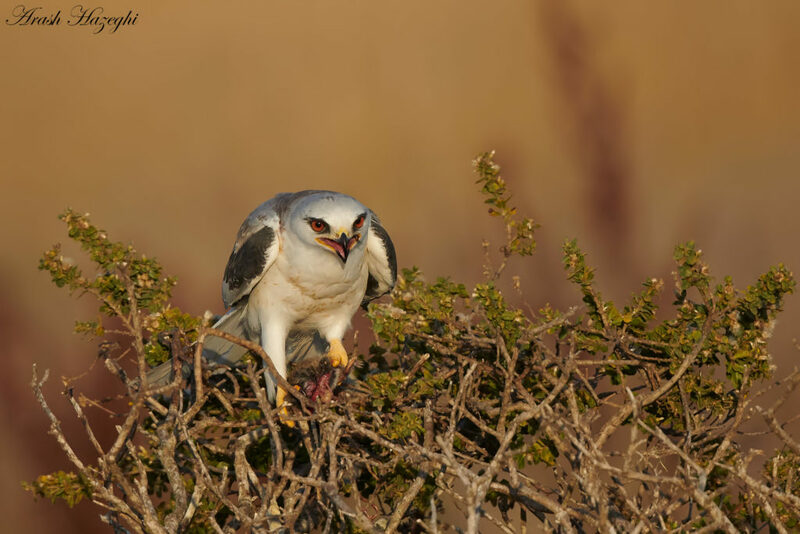 Juvenile white-tailed kite with prey (vole). Nikon D850 and AF-S 500mm f/5.6 PF + TC14E-III. ISO 1250 f/8 at 1/3200sec. Hand held. Processed with Capture One Pro 11. Click to expand. Female northern harrier, AF-S 500mm f/5.6 PF + TC14E-III. ISO 800 f/8 at 1/3200 sec. Hand held. Processed with Capture One Pro 11. The 500PF handled side light nicely with no flare from the gratings in the PF element. Click on the image to expand. 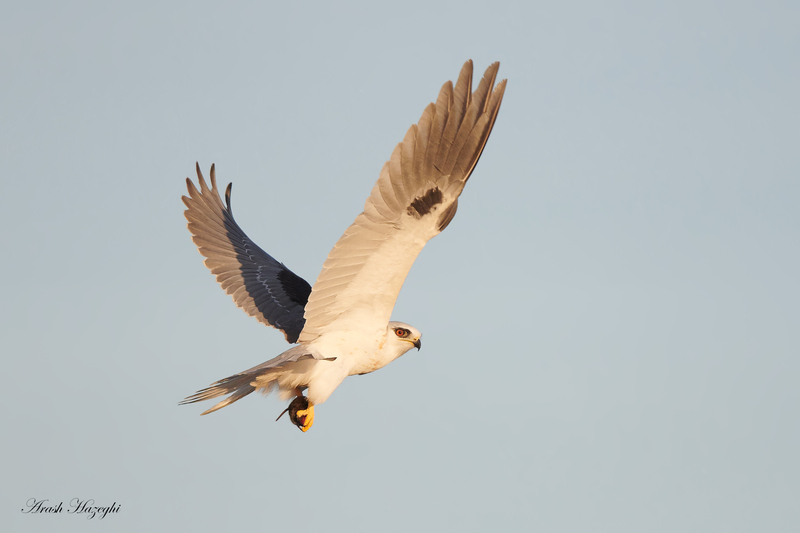 White-tailed kite with prey (vole), AF-S 500mm f/5.6 PF + TC14E-III. ISO 1250, 1/3200sec at f/8. Hand held. Processed with Capture One Pro 11. Click on the image to expand. 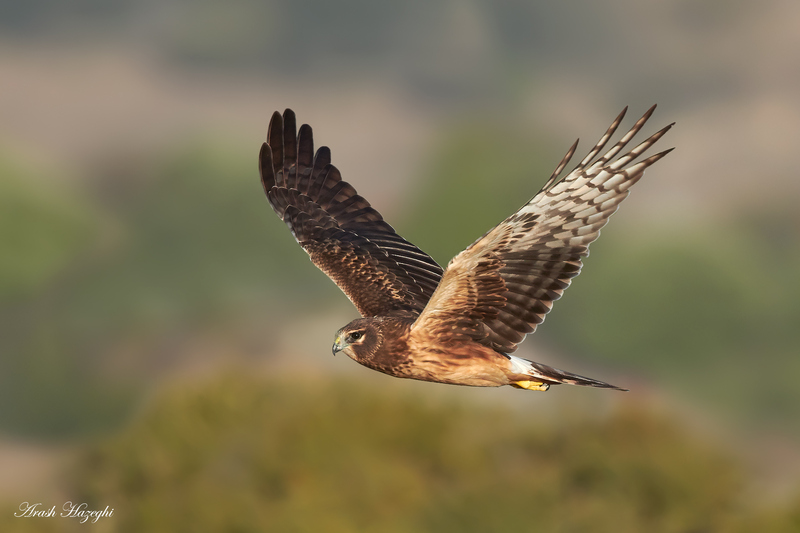 Juvenile female northern harrier. Nikon D5 and AF-S 500mm f/5.6 VR, ISO 4000, f/5.6 at 1/2500sec. hand held. Processed with Capture One Pro 11. Click on the image to expand. The Nikon 500mm f/5.6 PF is a very special lens. It is the smallest and lightest 500mm lens ever made that can deliver the critical image quality and the AF performance worthy of capturing professional-quality BIF images. At the time of writing this review, there is nothing on the marker to compare this lens to. The closest “competitor” is perhaps the Canon EF 400mm f/4 DO IS II which I reviewed several years ago. It has a higher maximum aperture and it gives more reach with the 2X extender (800mm f/8 vs. 700mm f/8), but Nikon’s 45-Mega pixel D850 plus its solid AF system makes up for the focal length difference. The Canon costs $6900 compared to Nikon’s $3600 price tag which makes it difficult to compare the two, but what is evident is that the AF-S 500mm f/5.6 PF delivers incredible value and leaves little to be desired in terms of field performance. The PF is so small and tight that it fits in the glove box of most standard vehicles, it can easily be carried in any kind of backpack. You can simply take it out anywhere, anytime without having to think about it, on a Sunday hike, to the local park, on weekend trips, etc. If you run into an interesting subject, you will be ready. It is also ideal for shooting from a vehicle, boat, kayak or a helicopter thanks to the small foot print. The only gripe I have with this lens is why is it 500mm and not 600mm? Perhaps Nikon will address this issue soon. Other than that, highly recommended, full stop. -Tiny, featherweight midget of a lens, almost unbelievable. Super easy to hand hold and maneuver for anyone. -Excellent optics , critically sharp images at pixel level, with or without 1.4X TC. -Fast AF servo drive, can grab focus on fast fliers mid-field. -Excellent VR, consistent sharp images hand held down to 1/50 sec. -AF performance for BIF can take a hit with the TC when using a gripped D850. -No tabs for a shoulder strap. Cheap plastic hood. Cheap “guide sheet” looks like piece of a newspaper. Excellent review Ari, but I was thinking while I read it about how it compares to Canon’s 400mm f/5.6 lens. That lens is also a 5.6, is super light, fairly small, very sharp, and (by telephoto standards) really cheap. Did you ever have the opportunity to shoot with that, or did you strictly shoot the 400 DO? I sold mine to help pay for going from 5D3 to 5D4. I wish I hadn’t done that; it was a nice lens that could be carried without thinking about it. Oh well. I’m hoping Canon comes up with a 600 DO next year! Canon just made the 600 f/4 MKIII which is a whopping 2 lbs lighter than the old one, if I were still shooting with Canon that would be my lens. I doubt there will ever be a 600 DO. I suspect that you believe that Canon will not make a 600 DO lens because they achieved much of the weight reduction with their new 600 f4 and the DO weight advantage does not now count as much. Or is it because they don’t wish to compete with the new 600 f4? Using the Fresnel lens technology, with lighter plastics, they can still par off some weight and I suspect some cost as well and that translates into consumer interest and sales. There are still quite a few photographers that will pay anything for an extra lens stop of light gathering advantage. The question is not whether Canon can do it. It is will they since much of their success is independent of their photography products and thus they are not forced to sell or else fail. I suspect they will because they already created the 400 f4/DO, and know the technology, so I can think of no technological reason for Canon (and Nikon) not to make a 600 f4 Fresnel that the consumer wants. But it will still be expensive lest they defeat what they just created. And will Nikon avoid f4 and stay with f5.6, which saves much weight and cost, and appeals to a much larger market? This is not about what they can achieve as much as it is about which market they plan to pursue. I agree that the 400 f/5.6 with no image stabilizer and being an older design, needs updating, so you’re probably right about the image quality relative to the current fleet. I am still toddler stage in this sport. but I agree with Anthony that a 600 DO could yet happen. it might we a while off, so I won’t hold my breath. that said, when i look at the 400mm line, Canon makes a 5.6 (which for years I’ve read that they are working on an update), a 4.0 and a 2.8. yeah, there’s a larger market for 400s than 600s, but the 600 market (I think) is big enough to support a 600 f/5.6 DO. I also think that in the see-saw competition between Canon and Nikon, a 600mm f/5.6 DO lens is something that Canon would dearly love to have sooner than later, just to stem the flow of people like you and Artie, and like Anthony said, the technology is probably there. personally, I would buy the 600 5.6 in a heartbeat, but the new 600 4.0 offers too little improvement over the 500 4.0 that I already own, given the $$$ involved. but that’s me. The in the comparison with 600/4, the image from 600 is larger. So did you shoot from same position? Is the size difference due to the FL difference? It’ll be interesting to see both images at same size. BTW, I have the lens and it’s a GEM. Of course it’s not a f/4 lens. So lack the bokeh. Otherwise I think I will shoot with this lens for a long time. Hi Jemini the 600mm lens is a longer lens and gives more magnification obviously, for bird photography the distance to subject is fixed so when comparing lenses I shoot the target from the same distance. The 500mm f/5.6 bokeh is excellent and like any other telephoto lens, I only wish it was longer. The more I look at this lens the more I’m convinced that Canon could reclaim the position as the company which bird photographers look to first. The reason is simple. No matter how much we like this lens we also love more magnification. What Nikon has achieved here is what Canon already achieved with the 400 DO. If Canon had reduced the aperture to f/5.6 both the weight and cost would have substantially benefited. But they could have also gone in the other direction and made a 600 f/4 DO and despite the cost, bird photographers would have to own it. Ari has already indicated that the latest Canon 600 f4 rendition deserves consideration because of its weight. That said Canon simultaneously must, either improve its CMOS chips or purchase someone else’s technology the way Apple did when they gave up on Motorola and used Intel chips which were their PC competitors mainstay. A 600 mm lens lets in considerably more light than a 500 mm lens. I would rather shoot with a 600 f.5.6 than a 500 f.4 when you also consider the weight savings. But if a 600 f4 could be significantly reduced in weight I would go for it despite the cost. There are three things that bird photographers look at. Magnification, aperture, and weight is what their lens choices are about provided the camera system is on par with the glass. So far only Nikon and Canon make the bodies which capture BIF with a high keeper rate and Nikon leads here. Nikon is now stepping over Canon’s glass advantage with the development of the 500 f/5.6. The question that everyone keeps asking is whether Canon can do the same thing to Nikon and provide chips and bodies which can harness the resolving power of their fast and light glass to capture BIF on a par with Nikon chips and bodies. Most of us factor in the time element as well. No matter how much we have invested in Canon glass is it worth the wait to see what happens? Probably not; you cannot recapture time and the moments that were lost. Canon needs to act fast because once photographers make the switch they are not going back. What is the point when the grass is equally green on both sides? You might as well stay where you are. A 400 f/4 lens is pretty close to a 500 f/5.6 lens in terms of physical aperture (100mm vs. 90mm), but the difference between the size and weight between these two lesnes is a factor of 2. So I wouldn’t say Canon had achieved the same thing, they are different lenses. Where Canon is currently ahead is the 600 f/4 IS III which is significantly lighter than the comparable Nikon lens. Canon image sensors are excellent as is, they can capture amazing images in the hands of skilled and talented photographers as many award winning images have proven time and time over again. Where Canon is behind is the AF technology. I should have stressed AF technology. The difference between the chips in the D5 and the IDX Mark II is negligible. And I agreed with you that the Nikon 500 f/5.6 has an advantage, as is, over the Canon DO f/4.0 at this point in time. It is lighter and cheaper and has the ability to capture the same amount of light and so can produce similar results. What I’m stressing is the future. Canon produced the DO when there was no Nikon equivalent as competition. Now that there is I would hope Canon would jump over the Nikon and go beyond and forward. And, yes, they have produced a wonderful 600 mm F/4.0 but it would sure be nice to take that lens down an additional pound and still keep the f/4 advantage or an additional 2.5 pounds with a f/5.6. They need fresnel technology to do such and they have already figured that out, as is evidenced by the present DO as compared to the original. However, since they did such a good job with their current 600 f/4 I have reservations regarding their impetus to compete with themselves for any additional weight savings. It’s amazing how we currently think when less than two decades ago we were fumbling with film and incredible limitations by today’s standards. The human spirit was designed not to be satisfied no matter what we achieve. I haven’t used any of the Nikons lately, but I completely believe you that the Nikon bodies’ AF kicks Canon’s derriere. Anthony is right also, that you cannot reclaim the moments lost when that amazing bird is flying right at you towards the sun. So I expect that little by little, people will switch to Nikon, and won’t switch back lightly. All that said, Nikon and Canon have been ‘leapfrogging’ each other since Canon was born in 1937. I expect that will continue and Canon will come up with an even better AF system eventually. The only question is how long it takes Canon to bump up the AF capabilities, and how many customers Canon loses by then, and that depends mostly on people’s finances and the outlook of the economy. If I were one of those fortunate enough to not care about the cost, I would have already exercised my legs. And frankly, while I don’t shoot sports, I would expect that sports will drive the market, not birds; that’s much more of a corporate competitive market….I think. Hi Paul, thanks for your comments. I think the users of a 600mm f/4 lens are primarily wildlife photographers (too long for sports). oh ok. i don’t watch sports either, so what they shoot eludes me. however, I thought AF speed and accuracy comes in large measure from the camera too, and that seems like it should have an impact in sports, and that’s where the market comes in, no? Hi Paul, yes the AF accuracy is mostly a function of the camera body. AF for sports is not quite as challenging as BIF, in the earlier the subject is much larger in the frame and a lot less erratic. BIF should be the de facto standard for measuring the ability of a camera and lens system to focus accurately and quickly. Without BIF photographers these points would be moot. That is what this site is all about. Not sure if this is the right place to post a question, still cant resist. I am shooting Canon 5dIV + 400 f4 DO II (of course Ari’s review played a major role there). I use often (if not always) 1.4X II teleconverters on birds. Now its tempting to move to Nikon 850 and 500 PF. Is it a good idea? Based on logic, Price and Image Quality point. Or any advise is always helpful. Hi Subham, if you want to photograph birds in flight the Nikon AF system will be superior to Canon, especially compared to the 5D4. I have been shooting for years with the original Canon 600mm F4 non-IS. It weighs almost 15 pounds! I bought it for only $300.00 when it was declared surplus property by our state government, in pristine condition. It had never been used! I loved that old anchor! Yesterday, I took delivery of the brand new Canon 600mm F4 IS lll, serial #102. OMG! It is so light and balanced. Canon claims 5 full stops of IS. Honestly, this lens is so easy to hand-hold. Liberating. No doubt, Nikon has a definite AF advantage for BIF. But in my opinion, Canon has hit a homerun with the new 600mm F4 lll. Eagles and ducks today! Ari is correct. If you want to photograph BIF then Nikon has a better platform. If you wish to photograph sports and more static wildlife then it probably will not make a difference as to which platform you use. I say “probably” because I’m not 100% certain. Canon has improved but I’m uncertain as to what extent. And the reason I have some reservation relates to an instance that occurred about a decade ago. A professional photographer was using a Nikon system at a concert. I asked, why not Canon? He replied that he switched from Canon to Nikon because of unpredictable focusing issues and he was quite adamant defending his opinion. He was not a bird photographer. That opinion has picked up more relevance in light of what I have personally experienced while using Canon optics to photograph birds. I just wish people, such as Arthur Morris, had let the rest of know what they were silently thinking years before they made their own switch. I’m not condemning professionals in this regard. In fact, Morris helped lead the way albeit hesitatingly. I compliment Ari because his position is boldly taken and fortified with testing, facts, and reason. You don’t quickly unhinge yourself from hundreds of interrelated items you use every day. You first try workarounds. And the more you own the harder you and longer you try. Keep in mind that despite Nikon’s advantage when it comes to BIF many photographers have developed techniques to take fabulous photographs of BIF using Canon systems. Ari’s published articles explain what to do and how to do it. If you plan on staying with Canon, or, as I do, playing with both systems, then I suggest you buy the guides that Ari offers. He has already done the heavy lifting so that you don’t have to do so in order to take great photos using present Canon technology. However, the bottom line is that Nikon, despite some ergonomic disadvantages, will do a considerably better job of tracking and maintaining focus on fast moving BIF than the Canon counterpart will currently do. I am sure that is a sweet lens and will bring you many great images and memories. Enjoy! First of all, many thanks for putting down a well thought out reply to my questions. I am using Ari’s BIF guide for Canon, and its an excellent learning tool for adv-amateurs like me, and I believe that goes even for Pro’s. Internet these days are flowing with posts like switch from canon–>Nikon; that’s troublesome (for Canon) & churning the idea to make the switch. Specially when the pro-photographer you follow does it. I would rent a Nikon and give it a shot when 500 PF is available. I will also tryout my friends, 200-500 + D500 in my trip to India next year. For now I keep my Canon. Switching is an expensive affair after all. Another question, how does the Nikon converters compare to Canon? Btw, this thread is very productive! Hello Ari. Thanks for this very interesting review. Maybe you can help me with your opinion. For about 10 years already, I use a Sigma 500mm 4.5 EX DG with Nikon D300 for (mainly) bird photography. I like to take it with me during bird survey walkings, on bird trips in Europe, etc. (on many occasions, I also carry a telescope+tripod with me..). For about 1 year already, I’m struggling what to choose as new gear for about (max.) the same dimensions and weight (preferably not more than 3,3 kg) for up to 6.500€ but preferably less than 5.500€ for a new telelens + body. The Nikon D500 looks great (1500-2000€) so this only leaves about 4500-5000€ (preferably 3500-4000€) for a new/used lens. Because it’s so easy to use and travel, the new Nikon 500mm 5.6 PF looks great even for using it with 1.4TC, but I’m struggling with the f value (5.6 or 8 with TC) that is higher than the f4.5 of my current Sigma. But my Sigma lacks image stabilisation, so the 500mm f5.6 PF would be even a step up vs. my Sigma during hand holding? 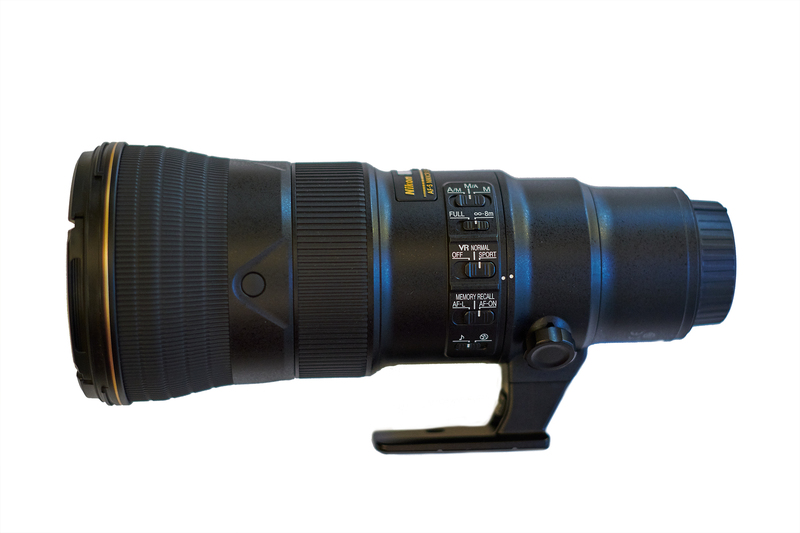 If I had the money, I would buy a combi 300mm f4 and new 600mm f4…The older versions of the 500mm f4 Nikon/Canon are probably too heavy for me. 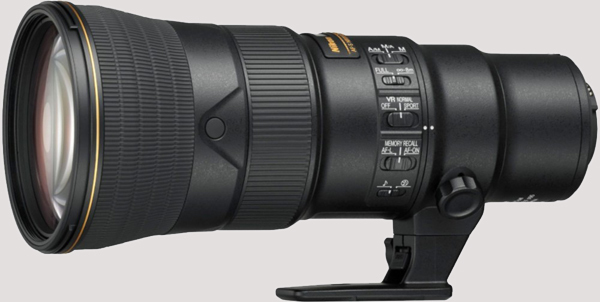 Another option might be the Sigma 500mm f4 (incl. 1.4 TC). What do you think? And do you know other people that can comment on the difference between the Nikon 500mm 5.6 PF vs. the old Sigma 500mm 4.5 (my current lens) and the new more expensive Sigma 500mm f4? Hi Joris, thanks for your comments. I typically don’t recommend using third-party lenses, IMO they are not worth it, not only the optics are not as sharp but also other aspects such as image stabilizer and AF fall short of Nikon/Canon lenses. I have seen these lenses fall apart in the field… Here in the US, third-party lenses that are expensive have a poor resale value so not a great investment IMO. With your budget my first choice would be a 500 f/4 E FL used but it may hard to find one and you may need to wait for a while… After that the 500PF fits the bill. Unlike the Sigma lens the Nikon is tack sharp wide open so you don’t have to stop down at least…. Hi Ari. Thanks for the reply. 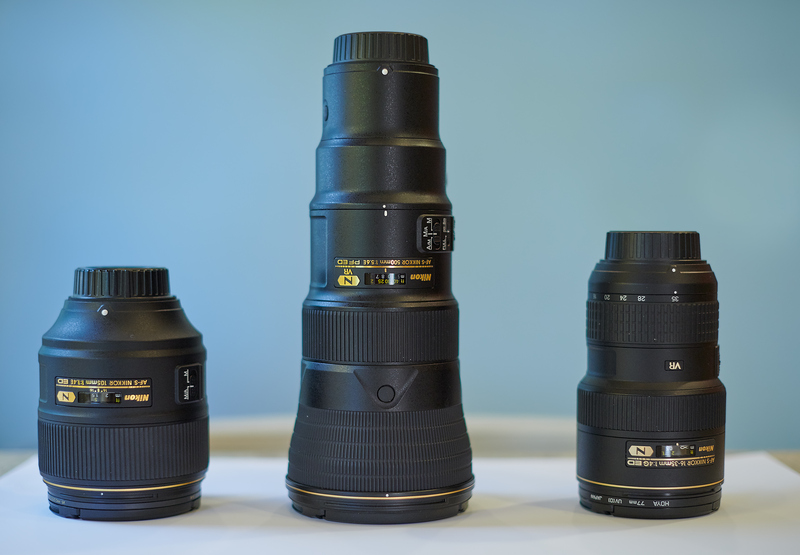 So I understand from your reply that you would rather choose the new Nikon 500mm f5.6 PF over the Sigma 500mm f4. For the price of 1.900€ 10 years ago, I was quite satisfied with my Sigma 500m f4.5 in combination with the Nikon D300; it got me many excellent bird images. During the years, I have learned to live with the fact that the AF hunts in some conditions, especially with a difficult background. I have a friend who has the new Sigma 500mm f4 and will certainly try to test… I’ve read many reviews about the new Sigma f4, it’s mixed but without 1.4 teleconverter most reviews are good to very good. My first choice for a lens upgrade for me would indeed be a used Nikon 500 f/4 E FL or Canon 500mm II. For my budget, the Canon will probably have a better chance of finding one, so that’s another dilemma 🙂 As I don’t want to wait anymore, I might buy the new Nikon 500mm f5.6 PF. Hi Ari, big fan of your work and reviews. I have ordered the Canon F4 III based on the weight reduction (sold my 600 II as it was just too heavy to carry long distances). I am hoping that the 7D Mark III due early 2019 will be the perfect companion – with a cutting edge AF system to match the new lens (perhaps taken from the 1DX II). Just wondered what you think of that combination? I know you weren’t a fan of the 7D II! I have had the 1DX and 7D II in the past, but use the 5DSR exclusively now both for BIF and perched. I am sure the 600 MKIII is a great lens just like its predecessor. As for the mythical Canon camera I have no idea, I cannot comment on something that doesn’t exist. I have shot birds for years now and I photograph them still as well as in flight as the situation permits. The Canons I use (5D4 + 500IS-II + 1.4X-III) are perfect for the perched birds and the Nikon does not have any specific advantage here. I now have both the Canon (above) and Nikon (D850 + 200-500 bare) systems and shot many photos side-by-side in Costa Rica in the last few weeks. Like I mentioned above, for sharpness, for the perched birds they’re identical (except for the resolution advantage of the D850). However, as Ari (and Artie) noted above, if the birds are in flight, then the AF for the Nikon is *vastly* superior. I wish I had the Nikon gear when I photographed the Nighthawks at Malheur last summer. I intend to keep the Canon gear for now and may shoot both systems for a while. If Nikon releases a 600/5.6 PF, I will likely ditch Canon completely but at this point with the investment in Canon glass (400-DO-II, 500-IS-II), I will give Canon one last chance to fix their focus and resolution issues with 5D5, else game over for me with Canon. I know, I am a lot more patient, but even my patience is wearing thin and no I am *not* interested in the 7D3. Seems more and more wildlife photographers switching to Sony. Art Morris is selling much of his Nikon gear and making a switch. Have you tested the A9 for BIF? I am not sure, Sony is not a player in BIF photography as they lack native super-telephoto lenses with the same quality of Nikon and Canon. The mirror-less cameras are good for easy subjects but really struggle when the subject is small and initially far from the focus plane such as at the raptors I shoot. I know a bird photographer who is trying to dump A9 and a bunch of Sony gear so if you are interested in buying at a steep discount please let me know and I’ll put you in touch with him. I think Arite will eventually end up with an iphone 🙂 He has back problems and can’t hold a big lens anymore. Morris does not do the objective testing that needs to be done. Using the Sony on a sunny day without any background around, other than blue sky, is no way to judge a lens. Try shooting a Snail Kite in the Everglades, at dusk, with a foliage background that blends with the subject to determine how well it does. Another bird photographer (Mark Smith) did some nice YouTube videos comparing Sonys to Nikons and he is not about to dump his Nikon gear despite some favorable reviews of Sony. 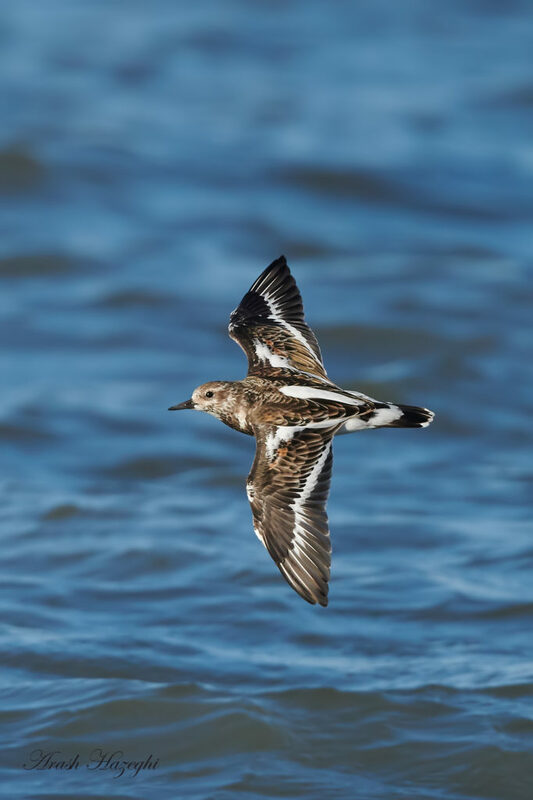 We all want a lighter, faster lens and camera combo which tracks fast moving birds well. It takes time to judge how these cameras and lens combos work and a lot of the instant reporting is simply fake news, done hastily, which essentially supports the inclinations of the authors and not much more. Morris should have been working out with heavy weights for four, or more, decades which would have done more for his back, shoulders, neck, and spine than those Zen swimming exercises which give you plenty of endurance but very little strength to handle a 600 f4, D5 combo, even with a tripod. I hope he continues exercising and lives a long life taking photos and giving advice and lessons but he has to understand that some people are going to question his opinions in a serious way and it frequently takes time, and really hard testing, to make some of the judgment calls he has made. Most people would rather wait rather than make $10,000 plus mistakes. Conclusions regarding any real advantages of Sony, at least to me, appear to be suffering from a deficiency of good, critical substantiative testing. And I even doubt if Ari has the inclination to do it right because some of what needs to be done is hard work which also consumes quite a bit of time and that is a rarity for most of us. Thanks for the responses, Ari and Anthony. I looked at the videos posted by Mark Smith. He said he is buying an A9 with the 100-400. I wish he had also tested the camera with the Sony 500 F4 or the 400 F2.8. Looks like mirrorless AF and IQ is making strides. With the huge Sony discounts just announced, it is tempting to try.